Mercury General Corporation (NYSE:MCY) has seen a decrease in enthusiasm from smart money in recent months. In the eyes of most market participants, hedge funds are seen as underperforming, old investment tools of yesteryear. While there are greater than 8000 funds with their doors open at the moment, we look at the upper echelon of this group, close to 450 funds. It is widely believed that this group controls the majority of all hedge funds’ total asset base, and by paying attention to their highest performing equity investments, we have brought to light a few investment strategies that have historically beaten the market. Our small-cap hedge fund strategy beat the S&P 500 index by 18 percentage points per year for a decade in our back tests, and since we’ve started sharing our picks with our subscribers at the end of August 2012, we have outclassed the S&P 500 index by 24 percentage points in 7 months (see all of our picks from August). Just as integral, optimistic insider trading activity is a second way to parse down the stock market universe. There are many reasons for an insider to drop shares of his or her company, but only one, very clear reason why they would initiate a purchase. Plenty of empirical studies have demonstrated the useful potential of this tactic if shareholders know where to look (learn more here). Consequently, let’s take a glance at the latest action surrounding Mercury General Corporation (NYSE:MCY). How have hedgies been trading Mercury General Corporation (NYSE:MCY)? In preparation for this year, a total of 6 of the hedge funds we track were long in this stock, a change of -25% from one quarter earlier. With hedgies’ capital changing hands, there exists an “upper tier” of noteworthy hedge fund managers who were upping their stakes considerably. According to our comprehensive database, Royce & Associates, managed by Chuck Royce, holds the most valuable position in Mercury General Corporation (NYSE:MCY). Royce & Associates has a $8.1 million position in the stock, comprising less than 0.1%% of its 13F portfolio. Coming in second is Ken Griffin of Citadel Investment Group, with a $6.9 million position; less than 0.1%% of its 13F portfolio is allocated to the stock. Remaining hedge funds that hold long positions include Jim Simons’s Renaissance Technologies, Steven Cohen’s SAC Capital Advisors and Cliff Asness’s AQR Capital Management. Judging by the fact that Mercury General Corporation (NYSE:MCY) has faced a declination in interest from the smart money, it’s easy to see that there was a specific group of fund managers who sold off their full holdings in Q4. At the top of the heap, David Costen Haley’s HBK Investments said goodbye to the largest position of the 450+ funds we track, totaling close to $0.4 million in stock.. D. E. Shaw’s fund, D E Shaw, also dropped its stock, about $0.3 million worth. These transactions are interesting, as aggregate hedge fund interest was cut by 2 funds in Q4. What do corporate executives and insiders think about Mercury General Corporation (NYSE:MCY)? Insider purchases made by high-level executives is at its handiest when the company in question has seen transactions within the past 180 days. 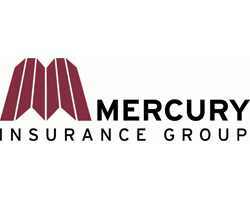 Over the last six-month time period, Mercury General Corporation (NYSE:MCY) has experienced zero unique insiders buying, and 1 insider sales (see the details of insider trades here). Let’s also examine hedge fund and insider activity in other stocks similar to Mercury General Corporation (NYSE:MCY). These stocks are Kemper Corporation (NYSE:KMPR), The Hanover Insurance Group, Inc. (NYSE:THG), MBIA Inc. (NYSE:MBI), Endurance Specialty Holdings Ltd. (NYSE:ENH), and Enstar Group Ltd. (NASDAQ:ESGR). All of these stocks are in the property & casualty insurance industry and their market caps are closest to MCY’s market cap. Hedge Funds Are Buying Oppenheimer Holdings Inc. (USA) (OPY) Arlington Asset Investment Corp (AI): Are Hedge Funds Right About This Stock... Hedge Funds Are Dumping Greenhill & Co., Inc. (GHL) Here is What Hedge Funds Think About FXCM Inc (FXCM) Gamco Investors Inc. (GBL): Insiders Are Buying, Should You? Is Safeguard Scientifics, Inc (SFE) Going to Burn These Hedge Funds?